I like many people struggled with a whole host of issues during my teenage years. This isn’t unusual as we navigate developing bodies, changing minds and the big transition from dependent child to independent adult. A lot of my issues were linked to my experiences of growing up gay in a society that was deeply hostile towards and rejecting of my sexuality. But there was also a handful of other issues thrown into the mix for ‘good’ measure'! I see now that underlying all of my issues was low self-esteem, a lack of self-acceptance, shame and a deep belief that I was powerless to do anything to change things. That this was the way things would always be. Thankfully this wasn’t the case. Now, in my forties, I can say with all honestly that I not only have a life I love but I also rather like who I am. I also know that I always have the power to change. Yes, I still face challenges and days that are better than others (don’t we all?) but no longer that hopelessness, unhappiness and anguish of my teens. Thank goodness! So it really saddens me to hear from more and more of my friends how increasingly difficult life seems to be for their teenage children. More and more research shows that teenagers nowadays are experiencing unprecedented and increasing levels of stress, anxiety and self-doubt. Some say there’s just too much pressure on young people academically, socially and culturally. That living in a non-stop, 24 hours a day online world which says we need to look, live and love perfectly all the time is taking its toll. No one knows for sure what the causes are and I’m not a child psychologist or mental health specialist, but I do know that something seems to have gone worryingly wrong. My three amazing nephews never fail to inspire me with hope for the future. I really enjoy working with teens as one of the Tutors on the Dru Yoga Youth Programme in North Wales, something I’ve been lucky to do for the last three years. And it always feels a huge privilege to share my experiences with young people in the Stonewall School Role Model talks I give in schools across the country. Both things that would have been totally inconceivable to my teenage self. This is why I’m really looking forward to working with young people in Sheffield with these Teen Self-emPOWERment Playshop events. What's more, I am only qualified provider of this wonderful work in South Yorkshire. 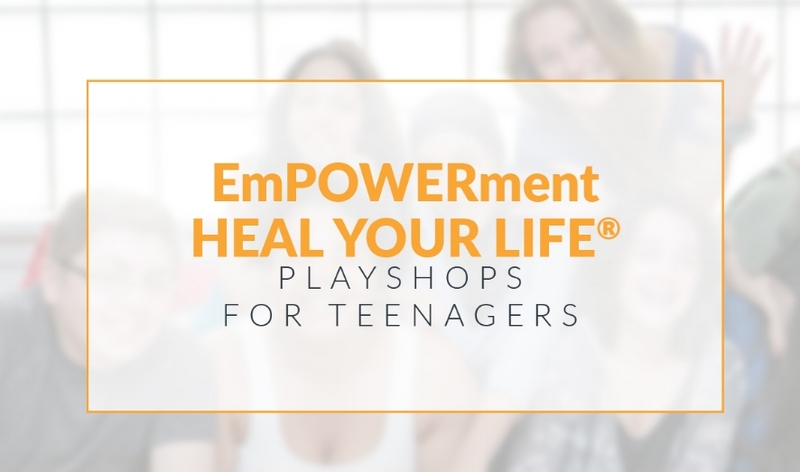 This new program is especially designed to help empower teens to build self-esteem, self-confidence, self-respect, and to find happiness in their lives, despite current issues and challenges they may be experiencing. The Playshops are fun, practical and interactive. They also give the teens a safe, inclusive space and supportive community in which to share and explore the issues they’re facing and discover ways to overcome them. The life-enhancing work of Louise Hay has made a huge difference to my life. I only wish there had been something like this around when I was struggling as a teen. Something that could have helped me realise that I was good enough, that I could learn to love who I was and that I did have the power to change things. I can’t go back and help teenage Toby but I can do my best to help present-day teens to see themselves as the wonderful, powerful and amazing human beings they are. Coming to Sheffield 2019. Find out more or get in touch.